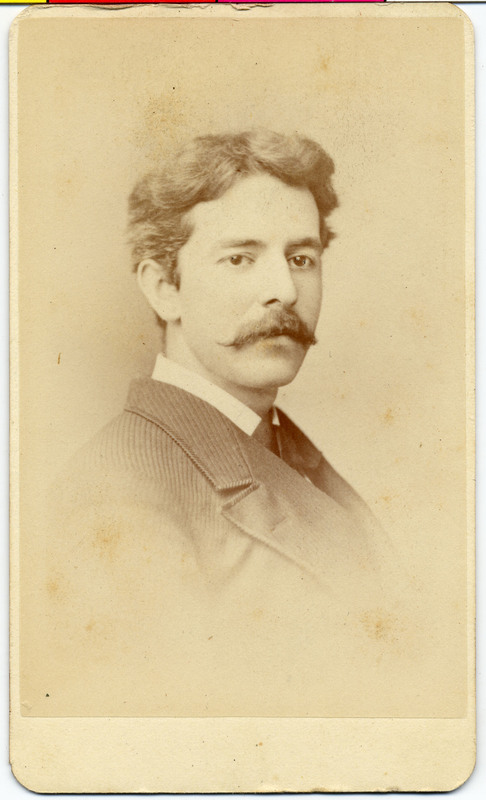 “How convenient a refuge is Italian!” So begins a letter dated January 11, 1883 from young sculptor Daniel Chester French (1850-1931; perhaps best known for his statue of Lincoln) to his friend Elizabeth (“Beth”) Hoar (1854-1924). Both the Hoar and French families lived in Concord and socialized regularly. Beth’s brother Sherman (1860-1898) was a model for French’s statue of John Harvard in Harvard Yard. Otis Phillips Lord (1812-1884) is perhaps best known in modern times as the late-life lover of Emily Dickinson*. In his own day however, he was a highly respected judge serving on the Massachusetts Superior Court from 1859-1875 and Supreme Judicial Court from 1875-1882, and a Massachusetts legislator serving as representative, senator, Speaker of the House and as a member of the Constitutional Convention. Lord was known (and sometimes feared) for his sharp intellect, keen wit and powerful use of language and oratory… less known, was his skill with the humorous sketch. and his evident inability to overtake one. 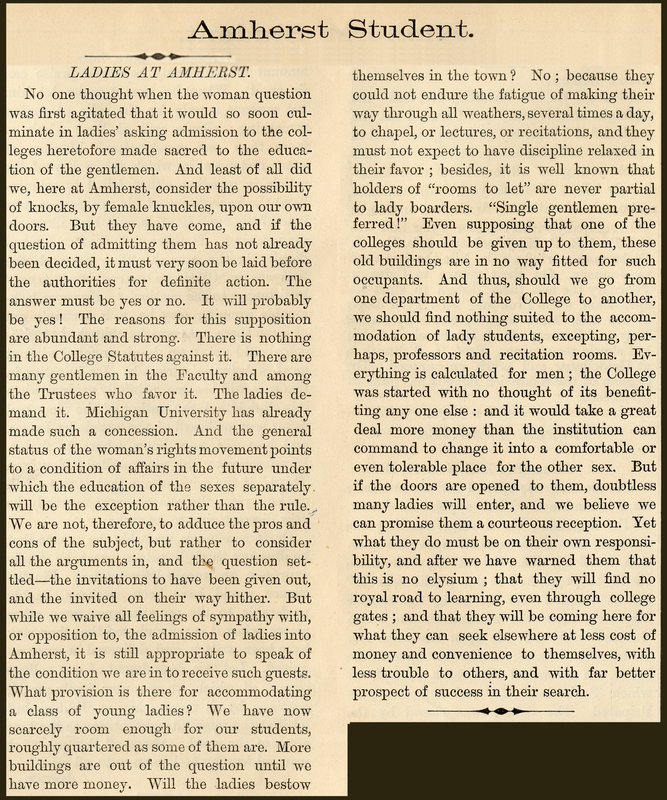 “Ladies at Amherst” editorial in the Amherst Student, February 12, 1870. 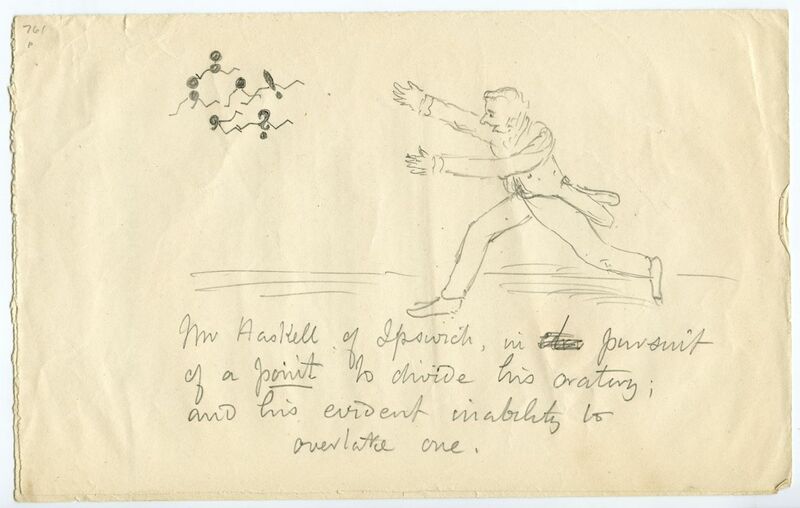 Amherst College Special Collections. 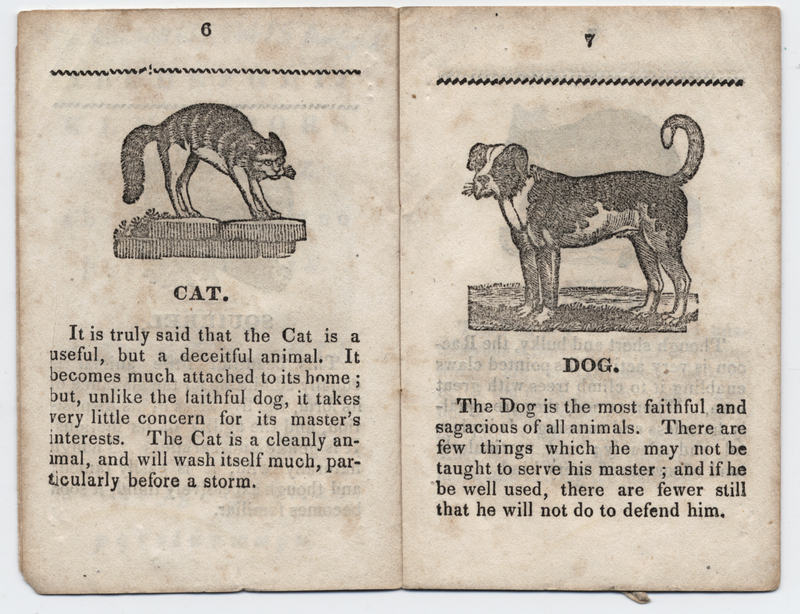 The theme for National Women’s History Month this year is “Women’s Education—Women’s Empowerment.” Reports, newspaper articles and other material related to women’s education at Amherst can be found in the Amherst College Coeducation Collection. 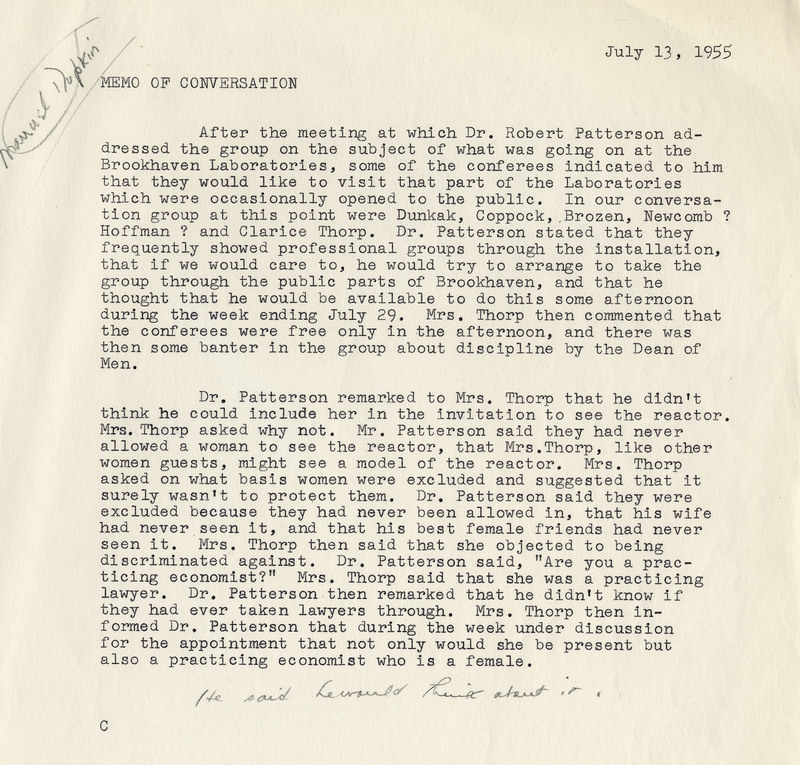 The faculty voted overwhelmingly to approve coeducation in 1974, but the debate over the issue already stretched back more than 100 years. 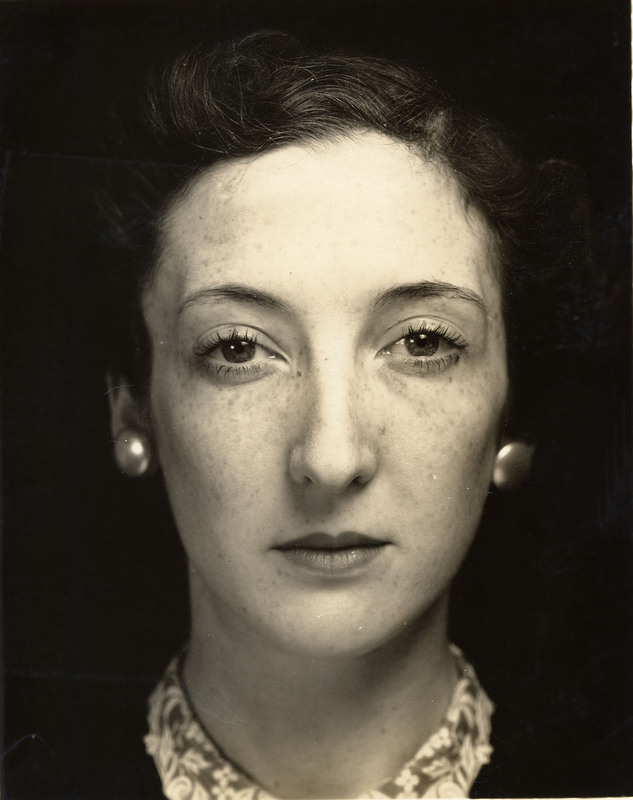 In honor of International Women’s Day, we’d like to introduce one of the newest of the many awesome women represented in our collections: Clarice Brows Thorp. Clarice Brows Thorp was born Clarice Florence Brows in 1912 in New York City. Graduating from Washington Square College in 1933 and New York University School of Law in 1935, she was admitted to the New York State bar in 1936. While working as a law clerk and later at the Bureau of Internal Revenue, Brows Thorp found most of her professional satisfaction in her vibrant political and legal activities. A strong proponent of civil liberties, alien rights, women’s engagement, and the Democratic Party, she was an active organizer, speaker, and supporter on behalf of many organizations throughout her life. She worked for several years with the American Civil Liberties Union and the Democratic National Committee. Her resume relates that she delivered hundreds of speeches in support of President Roosevelt.